Seems the owners and the employees don´t speak any foreign language, just Bulgarian. Frustrating! The staff speaks only Bulgarian language. The owner (Veronica) is a very unpolite, rude and violent person – shouted at us in Bulgarian language. The towels were dirty . On request the owner changed them after showing the dirt. Breakfast is cheap but bad (bread cooked in heavy smelling oil). Coffee to be paid extra. No milk or yoghurt. TV only in Bulgarian and Russian language. 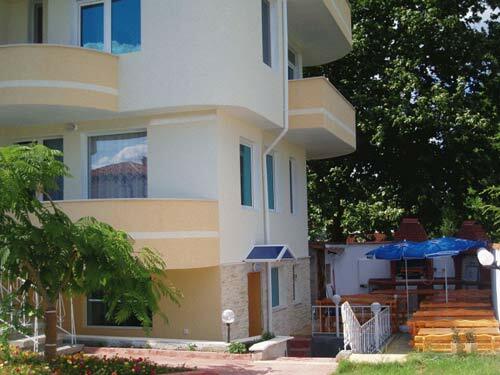 I got to the Veronika hotel by chance this summer (2006) and I must say it was surprisingly good...Nice people run the hotel and they try to give you a pleasent time.We are from the neighbour country of Romania and we felt like home. Glad to see action on this comment area. Phone number is a good idea. Very nice hotel,near the beach,people are so friendly. I walked past this hotel in july 2005.As I liked its extremely good 'just off beach' location and it apparent newness I thought to ask for a business card. The people didnt seem interested(or perhaps it was the language problem getting in the way! )Shame.